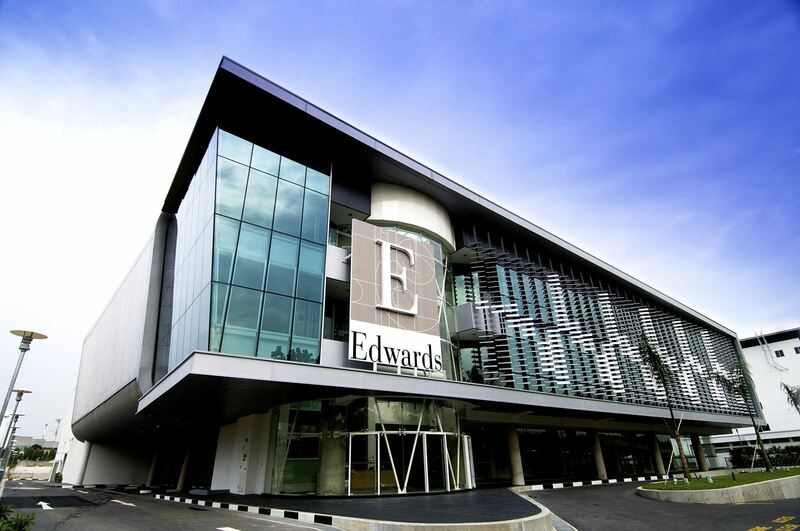 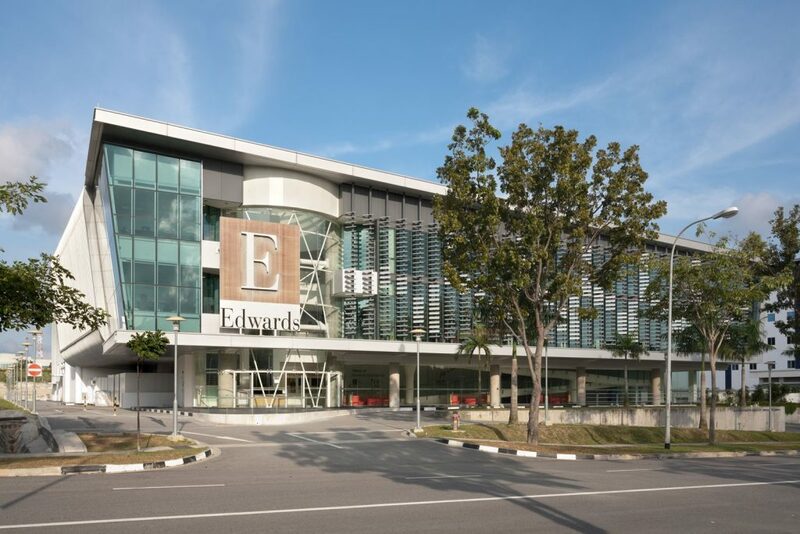 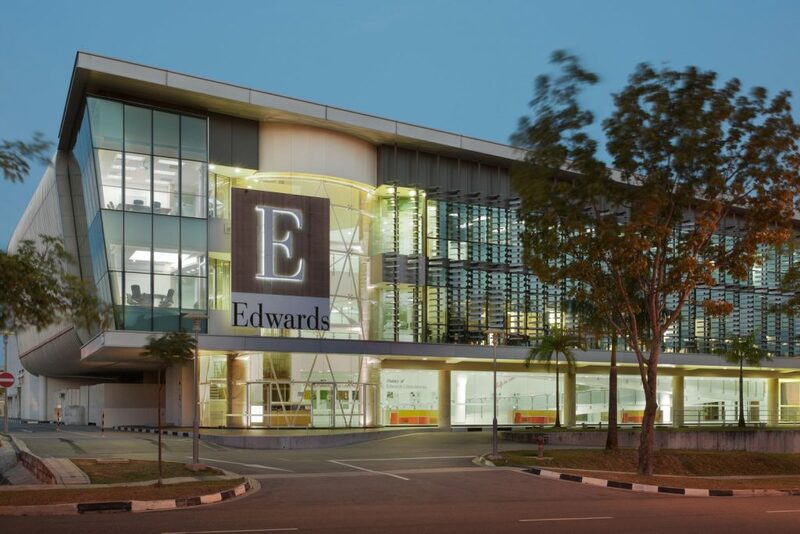 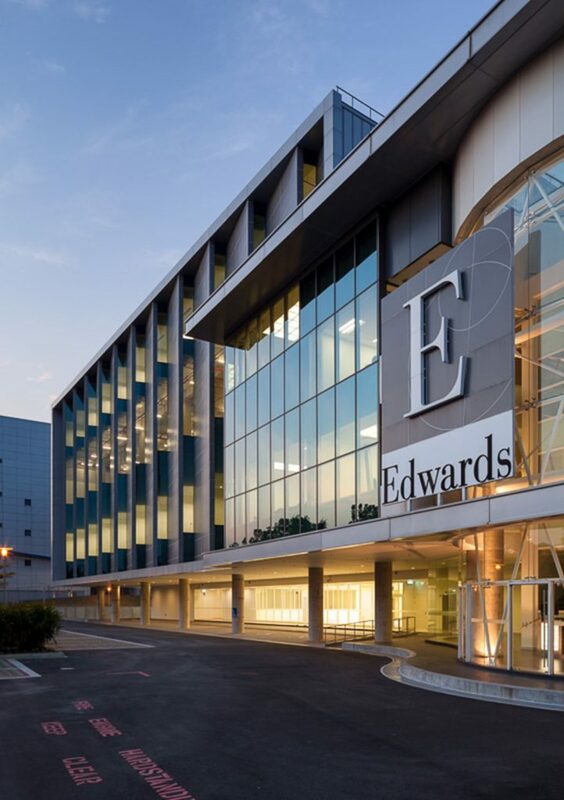 Edwards Lifesciences, R&D Museum Gallery & Manufacturing Facility Changi is a Bio-Science facility incorporating a Bio-Prothesis ( heart valves ) Manufacturing plant. 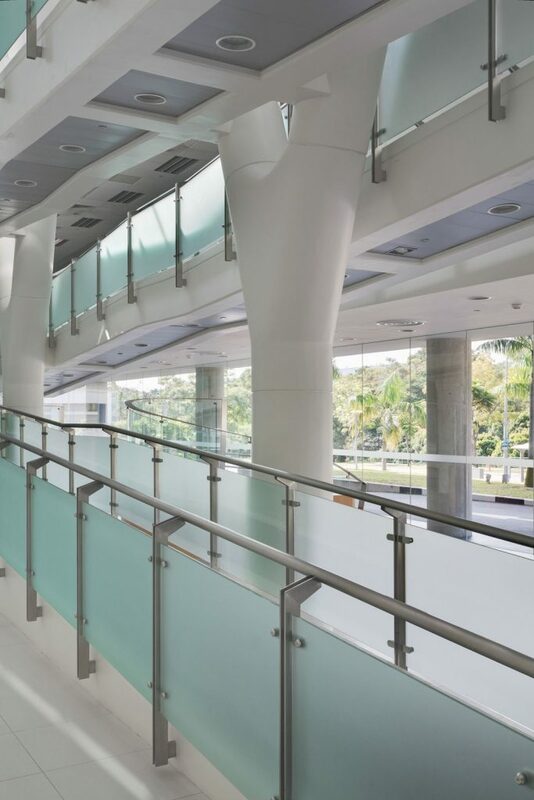 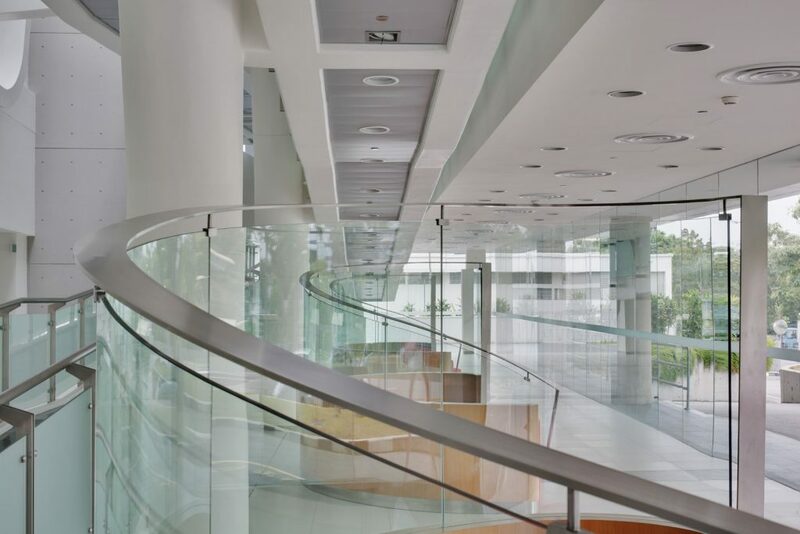 The building consists of a large clean room manufacturing environment, R & D and QC laboratories and museum gallery to complete this Regional Headquarters. 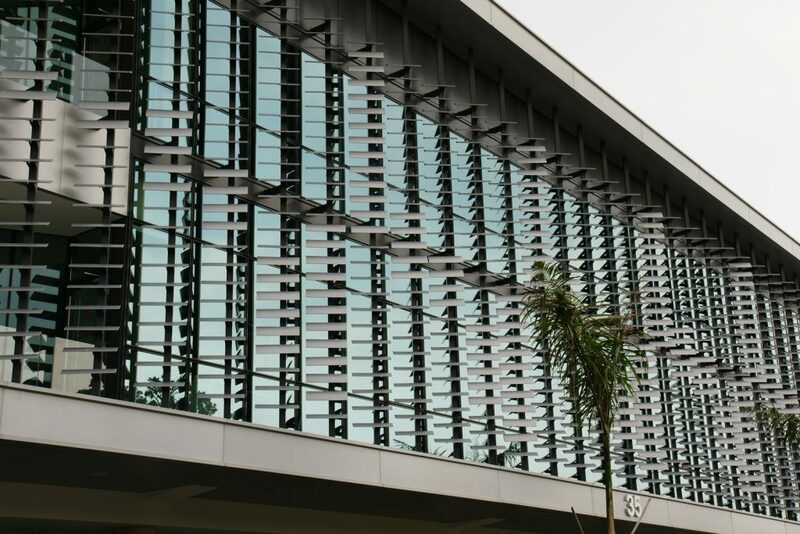 The stringent nature of the design requirements and control of construction quality make it the first such advanced facility of its kind in Asia. 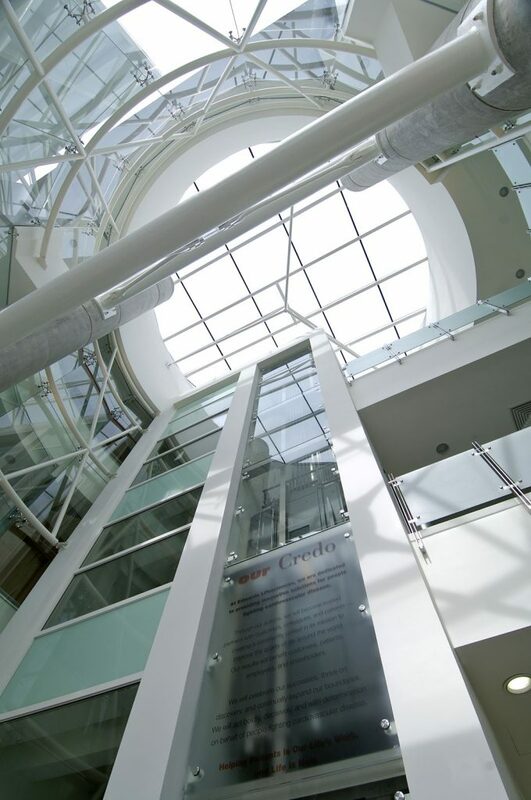 The 3-storey 8,500m² facility is constructed on a 0.8Ha Site. 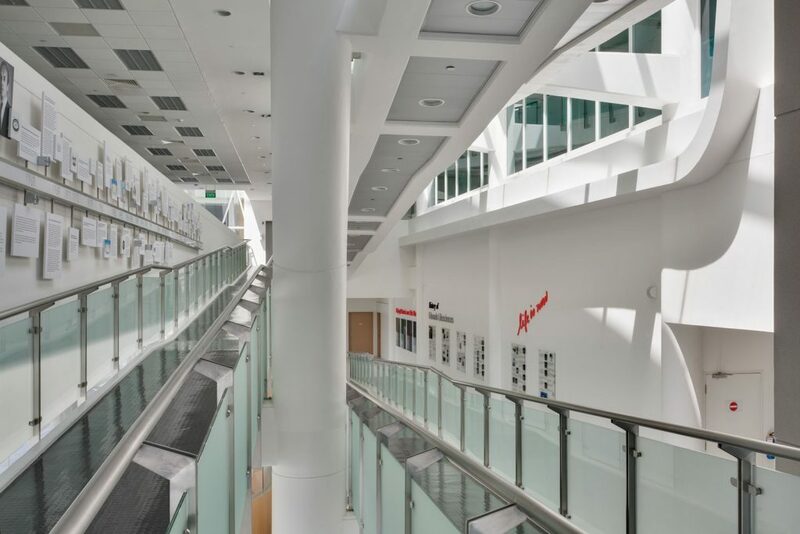 A key objective was to reconcile the strict and often contrasting operational requirements of a highly controlled manufacturing clean room environment with the more open and interactive requirements of the office and product museum. 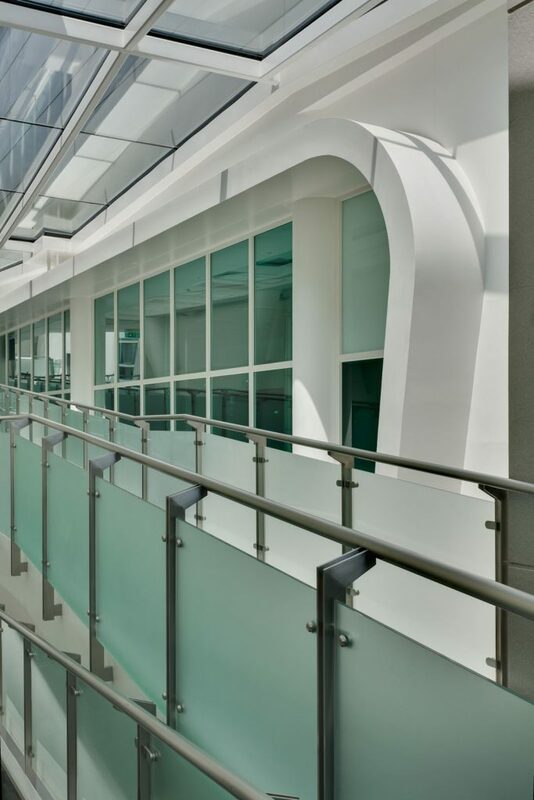 In addition there was a need to accommodate and adapt a complex linear (preferably single storey) manufacturing process into a multi-storey building due to plot ratio requirement of the site. 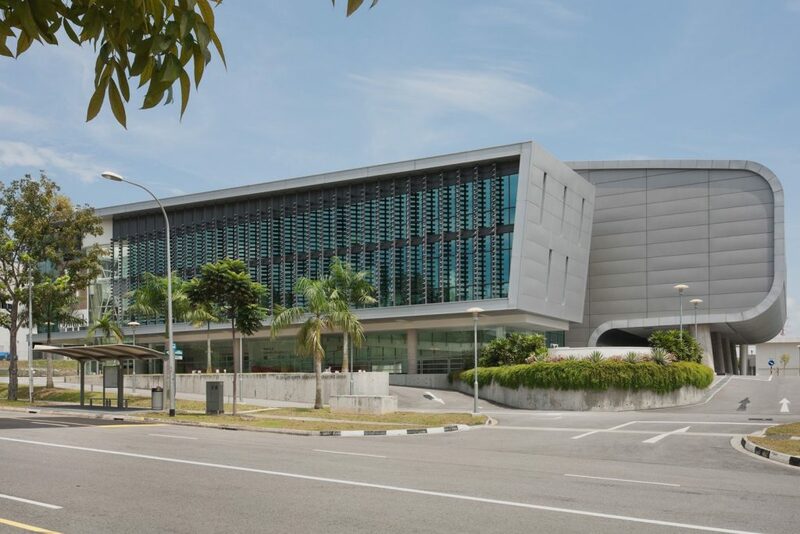 The building was conceived as a highly efficient, legible, well organized series of linked spaces running from the 3-storey public front of the entrance lobby and museum gallery, through the office accommodation to the 2-storey specialized production and research areas. 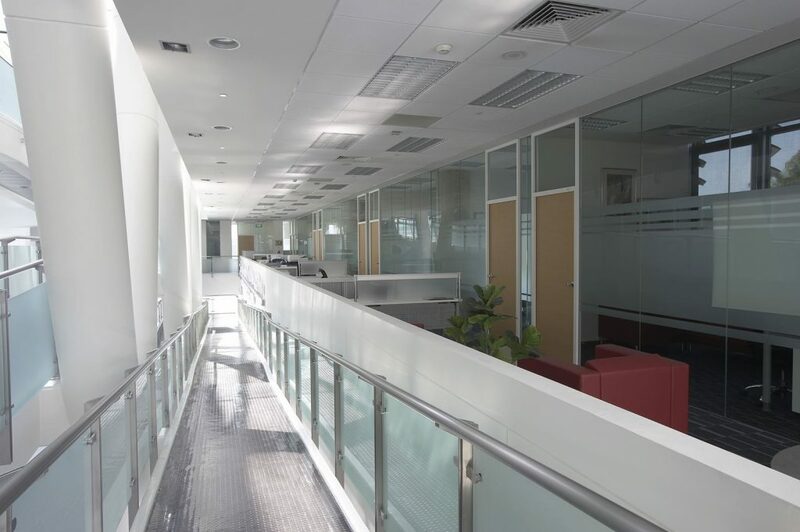 The more open public and office areas located at the front, benefit from maximum natural, shaded, day lighting and the enclosed, controlled environment of the production areas are located to the rear adjacent to the service areas and loading bays. 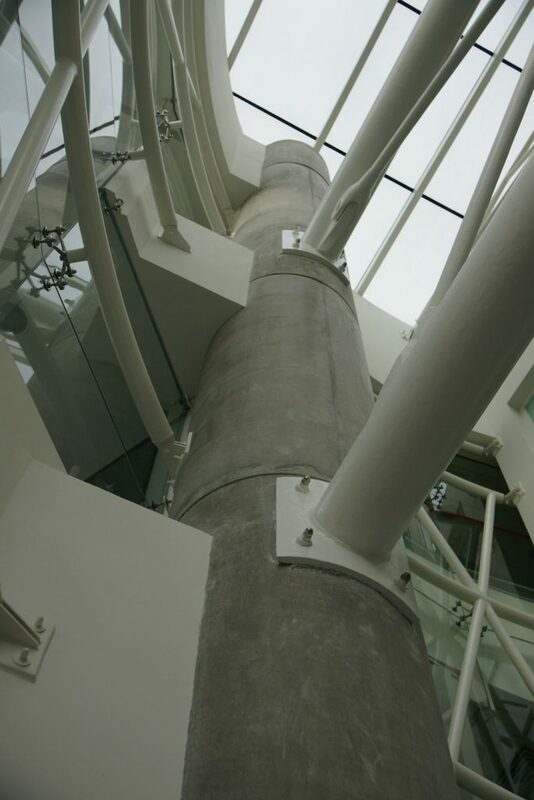 These two distinct elements are expressed in contrasting form, material and detail. 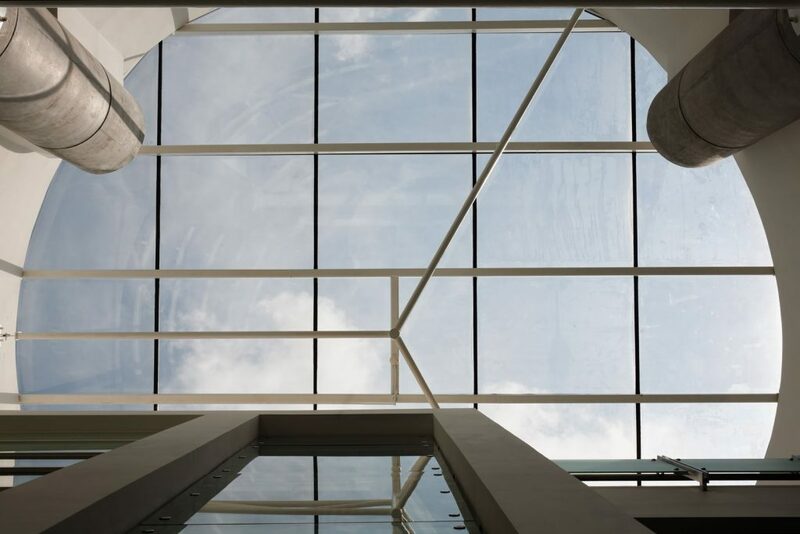 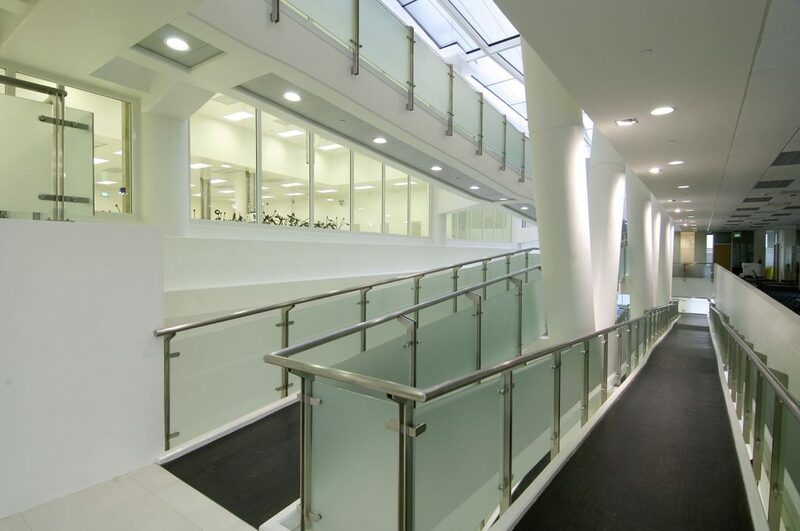 Natural daylighting is optimized functionally, whilst being used to draw people through the main public space and this natural luminance expresses the dynamic contrast between the solidity of the ‘off form’ concrete and the lightness of the steel, aluminium, glass and white interior finish within the space. 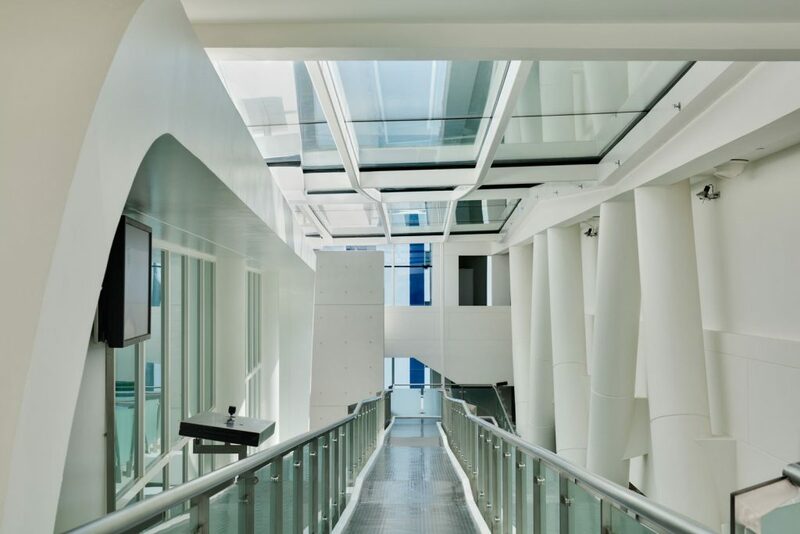 The lift, stairs and seating booths are expressed as objects within a ‘gallery’ space, whilst a white organic form symbolic of a ‘Stent Ring’ ( client product ) frames the high level clean room juxtaposed against the large abstract geometry of the gutter less skylight.